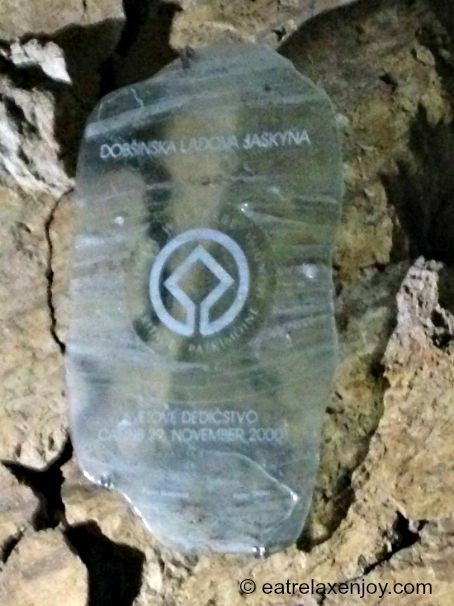 The Dobšinská Ice Cave in the high Tatras is located about an hour and a half drive south from Poprad. 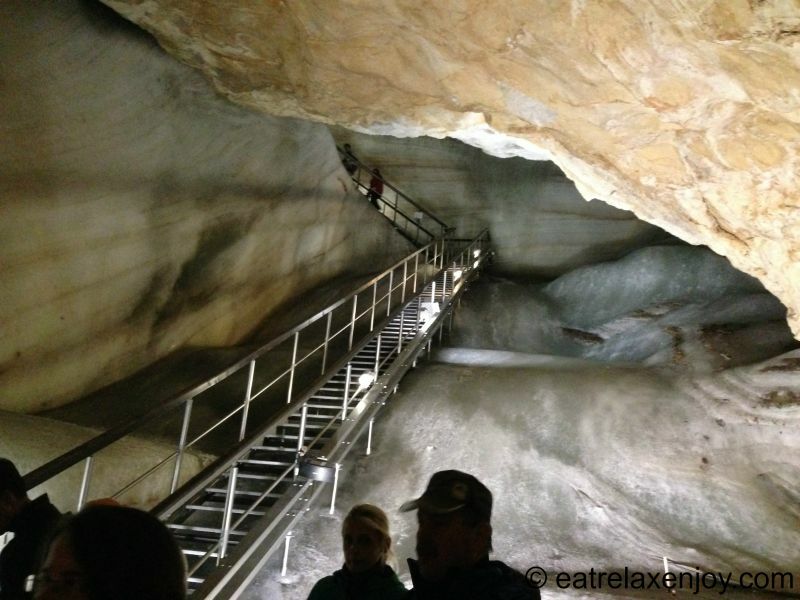 It is a big cave and the guided tour includes hundreds of steps. 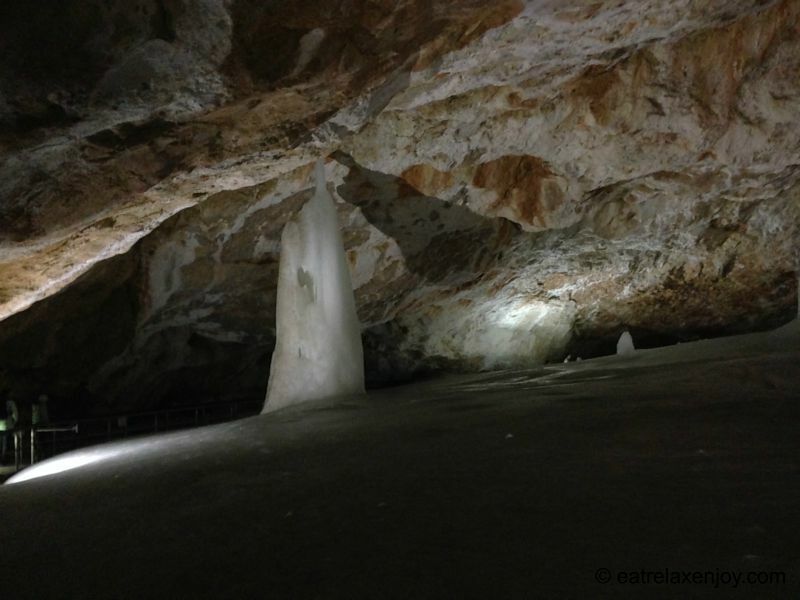 It is especially recommended for those who never visited an ice cave! Here’s the area map of the cave. 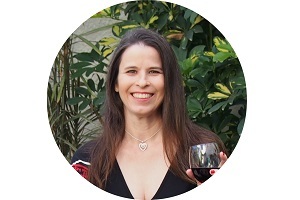 It is best to check the cave’s website for the up-to-date information. Get dressed well, don’t forget gloves, hats or ear warmers. 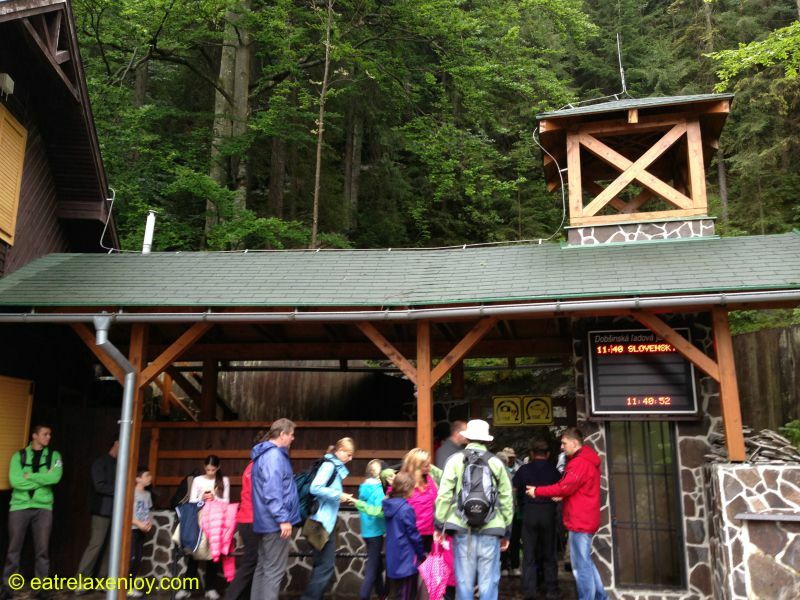 The access to the cave is via path going up from the parking lot, which is located near hotesl/restaurants and souvenier booth. 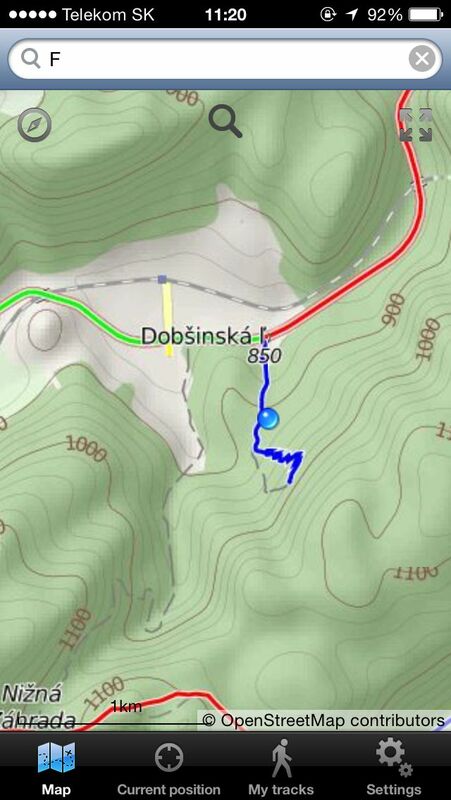 Expect some walk uphill to get to the cave, here’s the area topography. 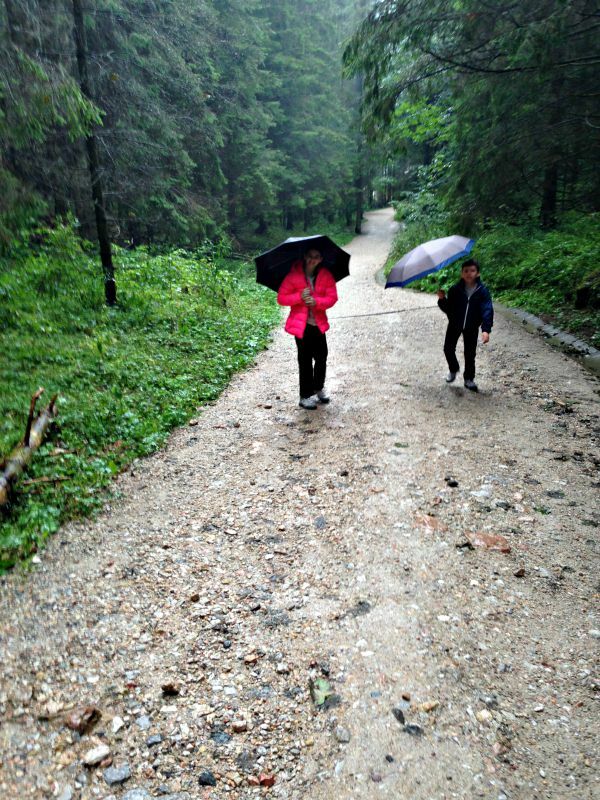 If you think that you’re smart to go to a cave on a rainy day (like us), well…the walk to the cave is quite long and is outside, on an unpaved path. Here’s the cave visitors center building. There’s also a small souvenir shop and a cafeteria. Entrance is in groups with a guide. The tickets have the time of the tour on them. The entrance to the cave is on the side, there’s a small convered area to wait. When you enter the cave you need to go down a lot of stairs in an ice-tunnel. 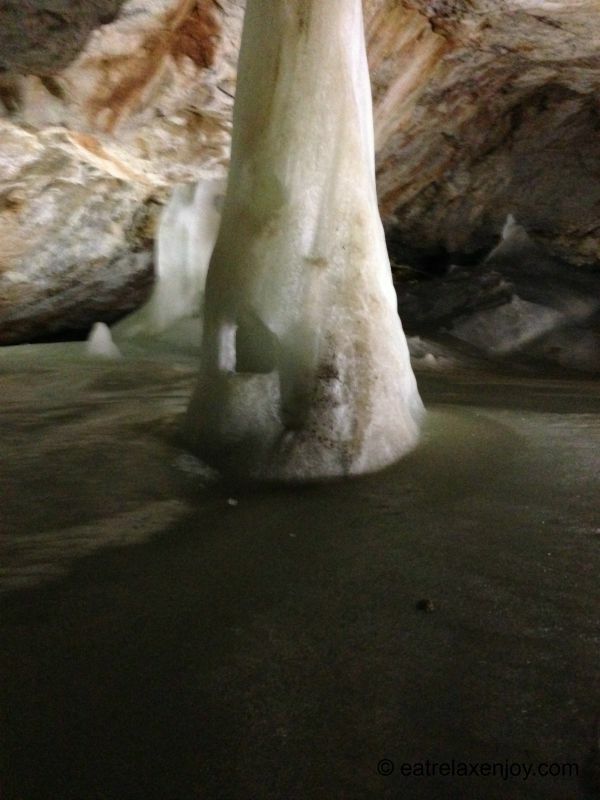 Until you reach a hall with the cave’s ice-sign. 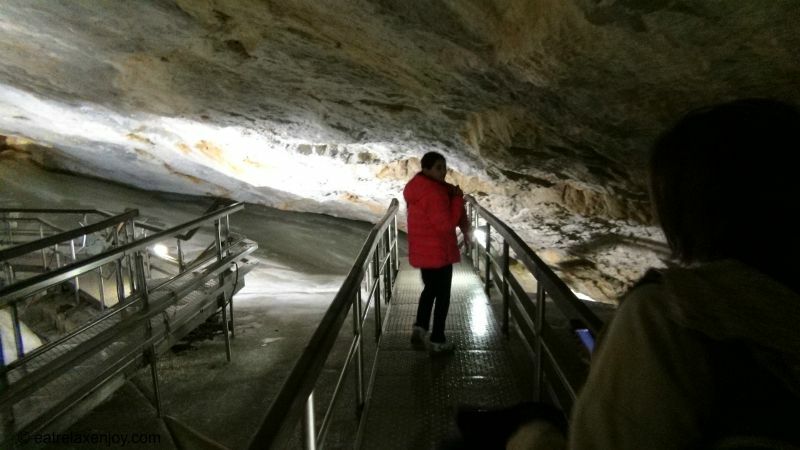 There are many more stairs in the cave with some bigger halls. 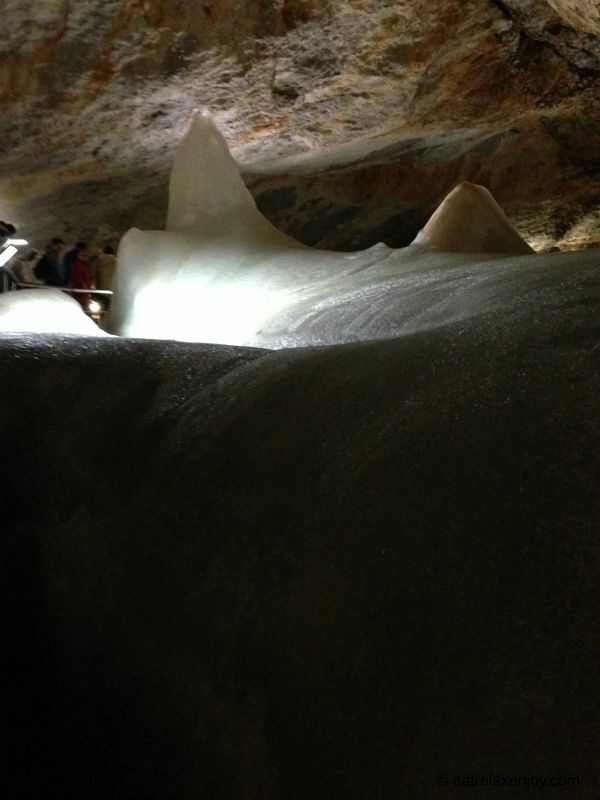 Here are some of the sights in the cave. Read more about Slovakia. And a guide to the low Tatras.